Well, I've waded in even deeper into the pool now. I just ordered a Creality Ender 3 FDM printer to compliment the Anycubic resin one. This will allow me to print larger objects that don't need super fine details and leave the resin printer to the duties of small and high detailed parts. I know the learning curve is different between the two so wish me luck. Looking forward to seeing what I can accomplish with this arsenal now. BTW, here's one of the latest prints I got out of the Anycubic Photon. Really great part from Vincent! Thanks again Sir. Word of warning: FDM printers have a much steeper learning curve, with exponentially more variables and failure points. The Photon slicer has 5 machine settings you can tweak; right now, I've got 100 options visible in Cura, and there are many more that are accessible from the menus. Learn to use the machine out of the box (as much as possible) before throwing a bunch of modifications at it. The two biggest problems I see from new users are underextrusion and bed level. Also, you will need to spend a frustrating amount of time levelling your bed. Note: bed levelling doesn't actually have much to do with being level; the biggest concern is having accurate spacing between your nozzle and the bed. Much like the Photon, the printer doesn't know where the bed actually is, it just starts where it *thinks* Z=0. The standard advice is to use a sheet of paper between the bed and nozzle and adjust the springs until you feel a bit of friction. That should get you close enough to start actually dialing it in, but it won't give you a truly accurate height, and can lead to adhesion problems (or even damage to the build surface). After you've levelled with paper, you should print off some bed level squares and check them with calipers to make sure it's accurate - if your first layer is set at .2mm, the plastic lines *should* be exactly .2mm thick, though +/- .025mm should be 'good enough'; if it's more than .05mm off, you'll want to adjust the bed height. An accurately calibrated bed level should give you smooth, straight, flat, even lines. 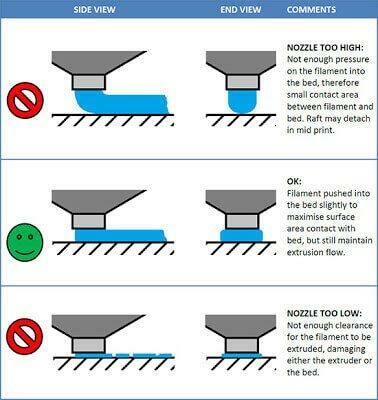 If your first layer is rough on top, the nozzle is too close to the bed; if there are spaces between the lines, the nozzle is probably too far from the bed. Thanks for insight and advice MoFo. I;ve been reading up on the issues and I've heard that at least for the couplers the later built versions of this printer have upgraded them. I HOPING that the one I get in has the better coupler. From what I've read, a lot of the other issues were partly due to rushed or sloppy assembling. So I am going to take as much time as I can getting it together. I definitely will take advantage of the bed level part, thanks for that link. What are your thoughts about to get a glass bed or not? I'm leaning toward getting one. It just seems to make sense to have a more solid stable surface for the first layers and looks much easier to maintain and keep clean. I know there's going to be some frustration, and likely more than I've had with the Photon. But for $200 and a little time invested, if I can get decent enough at it I think it will pay off in the long run. Also it will be good exposure for my daughters to learn a little about this technology. Hopefully in the future the tech will improve considerably and like the people that learned how to use an Apple II or early Commodores, they'll be ahead of the game. If not, it still might be fun. I'll let you guys know how my experience was once I get it in and start tinkering. Yeah, sloppy assembly is probably a big problem. If you approach it like you're building a CNC machine (which, functionally, it is), and make sure everything is square and true and tight, you'll be off to a good start; if you slam it together like IKEA furniture... not so much. I think the biggest problem is simply that people expect it to be some kind of Star Trek-like replicator or an appliance they can just plug in and use - like a modern car, or the latest smartphone - when really it's a machine that needs substantial user maintenance, like a Model T or a 70's computer. If you go into it expecting that it will be occasionally (often?) frustrating, but interesting to learn, you should do fine. Glass bed... depends. The primary reason people use glass is that it's typically flat, and rigid enough that it doesn't matter if the heatbed underneath it is perfectly flat. That's why all the CR-10 users swapped out their stock glass beds (which were warped/bowed/rippled) for mirror tiles (which are cheap and much flatter). A side benefit is that they're pretty durable and easy to use when levelled properly - PLA sticks well to hot class and pops cleanly off of cool glass (using tape, or hairspray, or glue are mostly quick fixes for an improperly levelled bed). The biggest downside is that it's heavy, so you'll need to adjust some of your speed settings down to minimize the defects that moving such a heavy mass can introduce. Practically, it means that your prints will take a little more time, since you'll probably want to keep under 60mm/s instead of printing at 80mm/s. If you're trying to crank stuff out, it can be a bit of a hassle; if you're willing to wait, it's not a big deal. The other downside is that, with certain geometries (particularly large, thin, flat shapes), your prints can start to warp around the edges, lifting off the glass. The worst case scenario is that the nozzle knocks your part loose and you keep extruding in midair. You can use brims to minimize this, but it's always going to be a bit of an issue. Other surfaces (like PEI) form a stronger bond with plastic when hot or (like Buildtak) have a texture that helps grip the plastic. So my suggestion would be to try levelling with the stock bed, and once you have all four corners accurately zeroed, print a grid of 9 squares to check in between the corners. If they're significantly out of whack (more than +/- .05mm) then yeah, get some mirror and use that. If they're pretty close (say, +/- .025mm), try printing on the magnetic sheet for a while and see how you like it. If you want something smoother or more resilient, you can go to glass; if you want a flexible build plate (it's easier to remove parts with a lot of surface area contact), you can add a sheet of PEI on top. As for other common upgrades... My general philosophy is that you should understand the basics before you start trying to tweak things. The learning curve is steep enough that you should have a firm understanding of how to make the printer work - and fix things when it isn't - before you start adding even more potential problems. Some tweaks, like a glass bed, are really unlikely to cause problems so they're fine to add as a beginner. But lots of people go nuts throwing stuff at their printer, and just get deeper in the weeds. If nothing else, you should only make ONE change at a time, then dial your printer back in before doing anything else. That way, if something goes wrong, you'll at least know what is causing the problem. If it comes with round, silver bed levelling springs, it would be worth swapping them out for stiffer, flat-cross-section yellow springs (or blue or red, which are even stiffer). Loose springs can cause your bed level to drift, which is annoying. Stiffer springs won't change the mechanical operation of the printer, it will just help you keep level. It's also worth adding a washer between the spring and the bottom of the heatbed, so you don't scratch through the soldermask and risk shorting something out. Vibration dampers are nice and will really reduce mechanical noise, but it means moving all the stepper motors slightly, so you'll have to tweak each axis, which is kind of a hassle on a well-tuned printer. Probably easier to add before you've built your printer, actually. A good, much easier alternative is to just put some squares of a thin foam sheet under the feet (something like a yoga mat is ideal), to isolate the printer better. It's worth using the printer for a while to see how much the noise annoys you, though - if it's in a garage and you can't hear it, who cares? Noctua (or other silent fans) are relatively simple to install, if you can crimp or solder the connections. They don't really change the way the printer operates (just make it quieter), so they're fine as an early modification. Again, it depends how much the noise bugs you, but the stock fans do tend to get noisy over time. Firmware. Personally, I'd suggest leaving the stock firmware until you get the hang of the printer. Make sure the printer works, and you've got a decent understanding of how it works (and how to fix the common problems) first. Most people are fine swapping it out, but you're changing a lot of settings so if something goes wrong, it can be hard to pin down what and why. Capricorn bowden tubes are popular, and it's mostly marketing BS. You cannot print hotter with them and the *slight* difference in diameter won't make much difference for PLA, ABS or HIPS. Fan ducts... The stock fan duct is okay, but not great. I think it's worth keeping the stock duct for a while, until you start getting the hang of things. Mostly because it's 'sufficient' for most simple prints, and if you're printing something that needs improved cooling, it's probably a more difficult print than you should attempt as a beginner. Also, most replacement ducts will require you to unscrew the hotend to install, which will throw your bed level out of whack, and can throw your hotend out of square with the bed. That said, I think the best part about replacement ducts isn't actually the cooling, it's better visibility of the nozzle, which makes troubleshooting easier. Octoprint and a webcam is a really nice upgrade if your printer isn't near your PC. It's nice to be able to fire an STL wirelessly to the printer, and be able to monitor the progress. Again though, I'd suggest waiting to set it up - you should learn your machine and physically watch it print first. The best way to troubleshoot is to actually watch what's going wrong so you can figure out how to fix it and having to physically insert the cards to print means you'll be there to watch the first layer go down, see if it's underextruding of the level is off, etc. Bed level sensors and replacement hotends (MicroSwiss or E3D) are definitely advanced upgrades for advanced users. They substantially change the way the printer functions, so you want to be really good at troubleshooting the standard issues before throwing a whole new range of potential problems at your printer. Also, consider whether you actually need them. If you're printing PLA, there is zero benefit to an all-metal hotend (but there are downsides). Printed belt tensioners, cable chains and the like are useless. 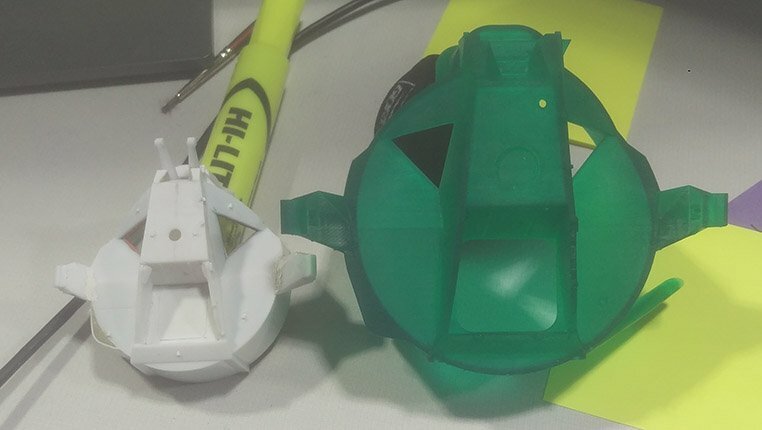 PLA deforms under tension, while metal obviously doesn't, so if you replace the stock pulley brackets with plastic ones, you are literally making your printer worse. Don't. Cable chains aren't actively bad as far as I can tell, but they don't actually do anything worthwhile, and they look pretty dumb, IMO. Spool holders are generally useless upgrades, but IIRC the Ender 3 mounts the spool on top of the frame. That's not really ideal - having all that mass above the frame can increase vibration and cause print artifacts. You don't need some super-duper-ultimate-best-ever-zero-g-frictionless spool holder, but it'd probably be worth printing something that will sit beside the printer. Just wanted to update you guys on the new printer. So far everything is going well. I took my time and really measure and assembled everything I could as straight and true as possible. I recommend watching some of the videos out there about how to best assemble one of these. there are a lot of good tips I wouldn't have thought about that go beyond the instructions. Ways to check true-ness and ways to ensure it can be set up correctly. I've printed 7 large parts on draft settings and haven't had any issues so far. These parts mostly will all get covered with foils etc.. so I wasn't concerned with surface texture and I figured running it through the steps at a lower resolution and layer height would be best to get use to how everything works. I think I definitely will take MoFo advice for sure when it comes to the springs. I can see that keeping the bed level (or even getting it perfectly level) might prove to be a hassle as time goes one. Some of the other upgrades I may add slowly as time goes on to get a good feel for the benefits of each. I did notice that there is a VERY slight dip to the center of the build plate, you can just barely make out light passing under a straight edge place from corner to corner. It hasn't seemed to cause any issues at least at the lower res prints, but I still think I'll get a glass plate and or replace the existing plate. Here is a pic of 3 of the first large prints made. This is the main model I want to get this printer for and so far it's been worth the price of admission to me. Nice work, Bill! What scale are you building this in? Thanks Wombat, but I can't take credit for the lunar module files. Those are some parts that Vincent Meens very graciously put out for free use. I scaled them up to 1/32 scale so they are quit large. I did notice that there is a VERY slight dip to the center of the build plate, you can just barely make out light passing under a straight edge place from corner to corner. It hasn't seemed to cause any issues at least at the lower res prints, but I still think I'll get a glass plate and or replace the existing plate. Increase your first layer thickness in Cura (or whatever slicer you use). This will make JUST the first layer thicker; all subsequent layers will be whatever you've set as your layer thickness. This doesn't fix the problem, it just makes the margin of error proportionately less significant (if you're out by .1mm on a .2mm layer, that's bad; if you're out by .1mm on a .8mm layer, it's not as big a deal). Related to this, you generally don't want layer height to be more than 80% of your nozzle's diameter - you want the plastic to squish down into the surface below, sort of like this pic - so if you're using a standard .4mm nozzle, you'll want to keep your layer height at .32mm or less. Minimum height doesn't matter (I regularly print at .04mm layer thickness), but maximum does. Use aluminum foil to shim up your build surface. You can put a few small squares of foil on your heatbed to fill in any dips, so that when you put your build surface on top, it will be level. Some people use tape, but I prefer foil since it conducts heat better than paper. Although with a removeable bed, your foil shims might move around as you pull the bed on and off. Plus, the heat will be a little less even, since it's not one solid piece contacting the build surface. 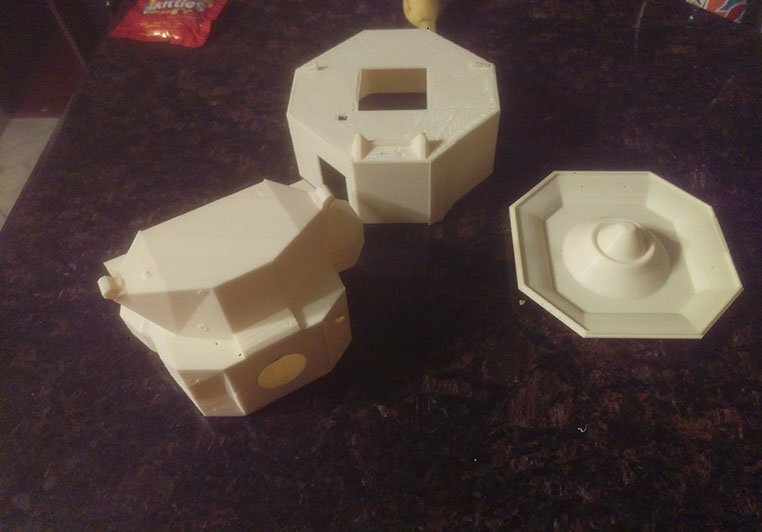 Oh, and a good way to check for dips is to get a dial indicator or depth gauge and print out something like this: https://www.thingiverse.com/thing:2412647 (there's a video embedded in the page; their channel has a bunch of good info, too). Basically, you level (tram) your bed, then mount the depth gauge and the printer will run a series of passes over the bed and the dial on the depth gauge will let you see what areas are too low/too high, and by how much. Then just shim in those areas and check it again. Or you could print out some wedge jacks and mount them between the Y-carriage plate and the heatbed to push out any dips in your bed. Again, it's best to go over your bed with the dial indicator so you know exactly where you're low, then you'll put a jack under that area and tighten it until the bed is level. The down side here is that your wedge jacks are going to be the same material you're printing with, so there's a risk they'll deform from the bed heat. I get around this by laminating some wood (which is a good insulator) on the top and bottom of the jack pieces, so it's not in direct contact with the bed. It's also fiddly to get the jacks in place and tightened exactly, but once it's done, it lasts a long time. I've actually done this on my CR-10, so I could eliminate the (heavy) mirror and just print on a thin sheet of PEI. Oh, and one other note about layer heights. On your Ender, you typically want to keep your layers to multiples of .04mm (.04, .08, .12, .16, .2, .24, .28 or .32 for the stock nozzle). The reason is that, running the math with the thread pitch on the leadscrew and the number of stops on the stepper motors, .04mm equals a full stop on the motors, so they can do it accurately and repeatedly. If you use a different number - say .1mm layers - the stepper is trying to hold between stops, so it can't do it as accurately, which will ultimately result in print defects. Pro-tip for people with SLA printers: the resin makes a fantastic filler, particularly for things like FDM prints. Brush on a thin coat of resin, let it self-level for a few minutes, then stick it outside in the sun for a couple of minutes to cure. Gives a fairly smooth surface right off the bat, plus it's way easier to sand than PLA, so it's a lot less work to get a perfect surface for paint. Basically, like XTC-3D, but you pick when it cures, so there's less of a worry about drips or runs, no concerns about heat, and zero waste. It should be great for things like panel lines, too, since you can apply it pretty precisely, wipe away the excess while it's still wet, and don't have to worry about shrinkage when it cures.